I had decided that I had wanted to make something out of clay that could hold a candle and allow light to shine through. 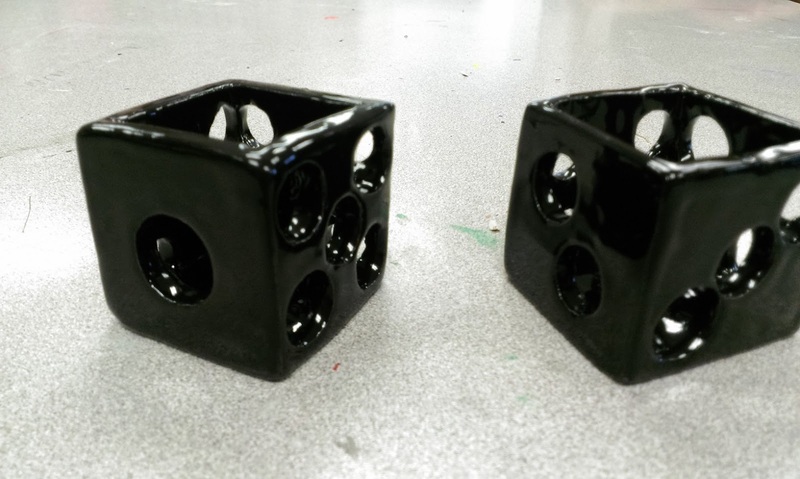 I thought of dice because I have always liked the simplicity of a pair of dice and it the dots could be the holes that have light shining through. Originally I thought to keep it white like traditional dice but the light would like white so I painted it black so that the values would stand out more. Some inspiration I had when coming up with this idea was some pictures I had taken several months ago of pairs of dice, both white and black. Just two simple cubes with some dots has a sense of simplicity about them and I knew that they would work well if made out of clay. I am a bit of a perfectionist so I was determined to make sure that the holes were all perfect circles but because of that I would be constantly be cutting at the clay and taking more and more away. Some areas between dots got so thin that they were on the verge of breaking so I had to learn to be really gentle and to be careful not to cut to much away. One of the mistakes that happened when I was cutting the holes was towards the end when the clay was a lot harder and easier to break. About a third of one piece broke off so that I had to re- score and slip the piece and line it up with the holes I had cut out. After I had smoothed all the clay together though it looked like it never happened. One of the risks I took was the material itself. 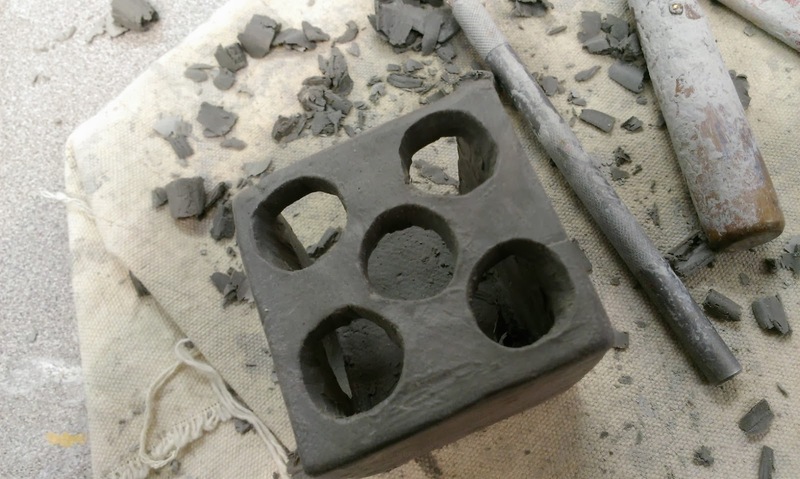 I have never been all that good at working with clay so I was a little skeptical of how square I could make it look and how round the holes could be. I also had to make sure that all my clay was smooth and that all the texture that come off the cloth was gone. I had been really worried that I may have not gotten all the air bubbles out or that a piece would break off but it came out perfect and really happy with the overall result.